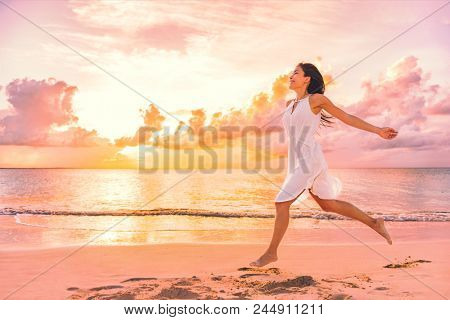 Freedom wellness well-being happiness concept. 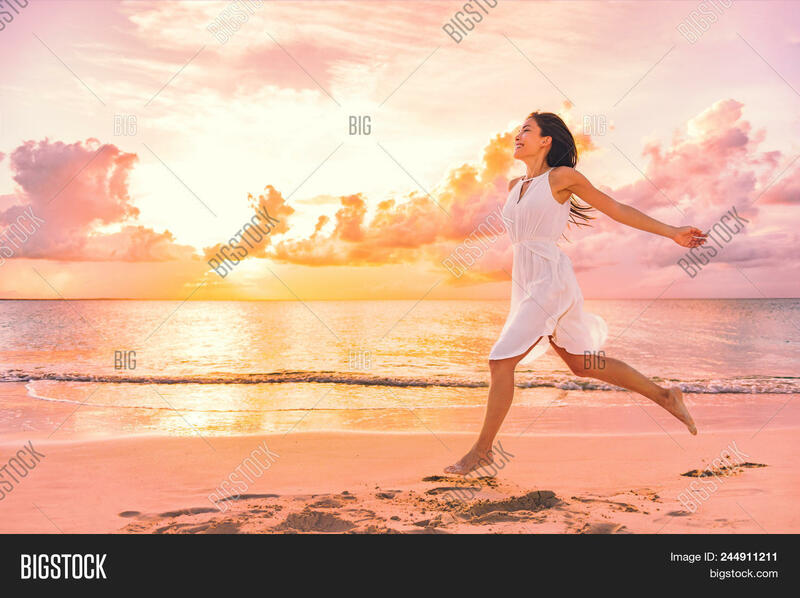 Happy carefree Asian woman feeling blissful jumping of joy on peaceful beach at sunset. Serenity, relaxation, mindfulness, stress free concepts.